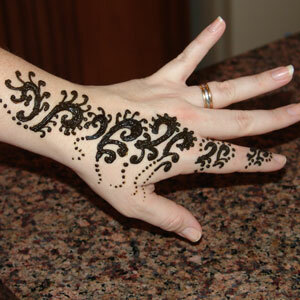 This ancient Indian art of temporary body decoration has become wildly popular on the campus scene. Our free-form designs can be as elaborate or as simple as you may desire, from a single finger application to the entire hand, foot, or ankle! We use no stencils, so these are custom drawn just for you. We formulate our very own henna paste from all natural ingredients that obtain the deepest, richest, most long-lasting tattoo. 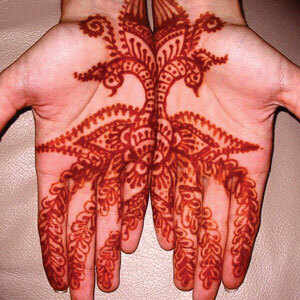 Want to talk with us about Henna Art?